Vice President Mike Pence has issued an “urgent call” to assist the persecuted Church around the globe. 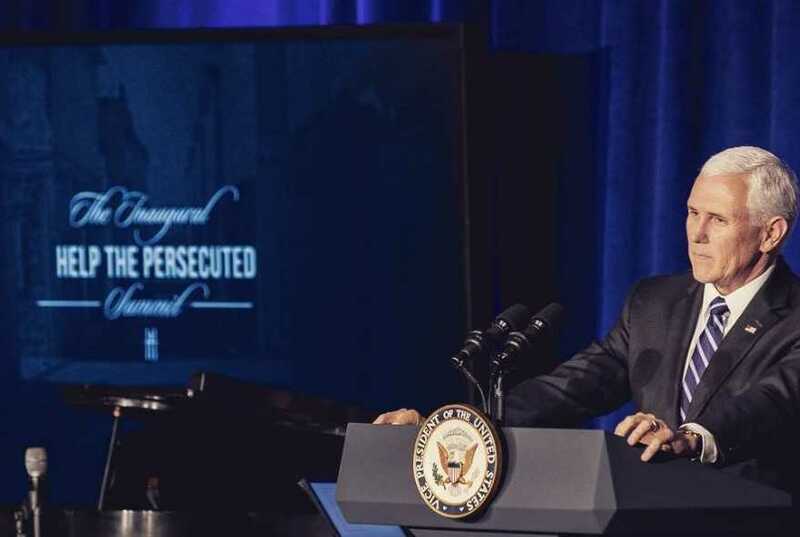 Speaking at the “Help the Persecuted” summit in Washington D.C. Friday, Pence said that “No people of faith face greater hostility or hatred than followers of Christ” and called on American Christians to stand with them. Earlier this month, over 20 Nigerian Christians were been butchered by Islamic Fulani herdsmen in the latest brutal attack to rock the embattled nation. The viscous herdsmen, who have been responsible for hundreds of attacks against the Christian population, struck March 4, 2019 in a coordinated attack on a series of villages across Benue State. Grave concerns have been raised after a number of Christians from the much-persecuted “Early Rain Covenant Church” appear to have gone missing in recent times. Last month, four Christian women, who were from the Farooq-e-Azam neighborhood of Karachi, were falsely accused of blasphemy in an elaborate hoax concocted by a Muslim couple. The most prominent persecution case, however, continues to be the plight of Asia Bibi, who is still being held in Pakistan despite being exonerated of all charges against her. Despite the fact that Bibi’s children are now safely in Canada, the Pakistani government has wanted to seek assurances from the embattled mother that she will not speak ill of her home country in the media upon leaving — an astonishing ask from a country who held her on death row for the best part of a decade over a crime she did not commit.